Getting started on creating your website can be really overwhelming with so many choices and options for starting your website. You will need to choose a webhost and software to create your website – what to choose, what to choose, what to choose…. If you are an ABMP member – they have a free website which really does a fairly good job if you know how to use it and make it work for you. My main gripes about going this way is that the themes are getting really outdated and while you can do some SEO work with these types of sites, it is limited. But it is a great place to start because it is easy to use and set up. You may decide later that you want something more powerful. AMTA also has a free website system that I actually do NOT recommend mainly because it is very limited and also they put Google Adsense Ads on the website which makes AMTA money and takes visitors AWAY from your website! Not Good – AMTA! They say it is to cover your hosting costs – but that is just not good for business. If this is all you have to start with, then use it until you are making more to get a better website. They do have a paid website builder that is very costly (See AMTA Website Pricing) – $49.95 a month to get a Website that can be optimized. That is way too expensive! The next way to go is to use Weebly.com. Why Weebly? It is the easiest thing to learn and use! It is a drag and drop system – you find what you want to use and drop it onto the site builder. They allow you to create as many pages as you want! This is important because it is content that makes a website work – Content that is optimized so the search engines can find it. The more content you have, the more you show Google that you are the expert at what you do! Google prefers sites from EXPERTS! They want to show their searchers the best results! (See also: Does your Site fulfill the latest Google Guidelines : “Expertise, Authoritativeness or Trustworthiness”. I have set up a small website using weebly.com to show you some features. They have a very good selection of themes that are easy to use and create your site. Weebly is hosting and software combined. You can also get your domain through them. Easy peasy. Start with the Free Version and just play with it to see if it will work for you. Pay for the Starter or Pro Plan for more features. WordPress takes some learning and time! Another popular way to go is to use a self-installed WordPress powered website. This means installing the free WordPress blogging software on your own webhost. WordPress is free software that is blogging software although you can also use it for a regular website. You have to either install it yourself onto a server or use a webhost that will set it up for you. After it is set up, you have to learn how to use it on your own. There is an extensive help section for it on www.wordpress.org. There is also the option to use www.wordpress.com that you don’t have to worry about installations. The problem with a self hosted WordPress site is that you have to know what you are doing. You need to keep the plugins and themes updated with the latest versions or they risk getting hacked or having issues. There are thousands of plugins to do various things on the site – you need plugins for many things like an xml sitemap , spam filter (you will get hundreds of spam comments a day if you have comments turned on.) You will have to deal with plugin conflicts or theme/plugin conflicts that will cause your site to crash and/or keep running out of server space and resources ( I am having this exact issue on this exact site and frankly am about to move everything to Weebly.com – Yes it is that bad!) I actually ended up moving this site to a Managed WordPress Host – Dreamhost – which they are much more knowledgeable on dealing with WordPress issues and are very helpful. The way to figure this out is to try both Weebly.com and WordPress.com and see what is easier for you. Although easier is not always better, it is also about getting you to work on the website. You won’t want to work on it if it is always so difficult! You may have to move your site to something else if you can’t make it work on the current hosts especially starting on the free ABMP site. It depends on the competition in your area and how well they create their own websites. Personally I am not recommending WordPress anymore for your massage business website unless you really already know how to use it and are familiar with how it works. You have to keep all the plugins and themes updated or it becomes a security risk. You have to constantly manage all of the changes and conflicts often occur. You should actually have a test installation of WordPress using your theme and plugins and use that to set things up and update plugins because when conflicts occur, you risk losing your whole site. You will also have to make sure you have your site backed up daily. 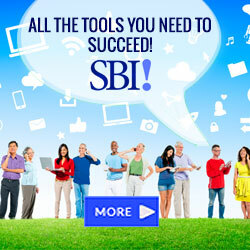 If you know how to set up and use WordPress then you will also want the SBI! plugin for WordPress to help you with the keyword research and it also will give you more directions for setting up and using WordPress. My other recommended option is to use SBI! or SiteBuildit! which is a block builder system that does have a bit of a learning curve. The thing is that it may be overwhelming to many massage therapists as some of the instructions in the beginning are more about creating a website to make you extra money. This is actually where I have learned most of what I am sharing with you in my Ebook – How to Get to the Top of Google which you can get for free when you sign up for my Free Newsletter in the right sidebar. The reason I like it better though is that it is just not about hosting. It is Waayyyy more than just hosting. It is a complete step by step program on how to build a website that is highly optimized to get more traffic (which means more massage clients) and they teach you how you can make extra money with your website through things like affiliate programs or creating your own info product like an ebook. It is like a college level program on how to build a website. (It actually is taught at colleges around the world! There are so many different options that it can be overwhelming making it even difficult to start. You can get basic hosting at most any webhost. The most common are www.hostgator.com, www.bluehost.com and the thousands of others. Many actually will have Weebly set up for you to use or some other basic website builder software. You are on your own really in deciding what to use and getting the help you need to make the software work to create a website. The Goal is to get your website to the top or as close to the top of the first page of Google (and Bing – but Google is most important) and get people to CLICK on the listing AND Get them to make the appointment. You need to be at the top to catch those people who are already searching for the words massage your city. Getting to the top is only part of the battle. Your website needs to show Google and readers that you are the Expert, the Authority and are Trustworthy. You do that by providing the BEST content which means writing about what you do. The key to doing this is to just write the way you would talk to clients anyway. What do you say to people all day long – on the phone, to people on the massage table and to people at a party. Putting all of that into a website is what this is really about. While you can do that on any hosting if you know what you are doing, SBI is really the way to go as it teaches you everything you need to know and also has more powerful settings in the backend that will help you achieve this. You don’t have to worry about learning WordPress and it’s many plugins and managing security. SBI! does it all for you. It is like a college level course but it is well worth the time and money when you get a website that does all the work for you of getting you most of your clients so you can focus on what you do best – Massage Therapy.